a spot of whimsy: things i heart: emma's style. things i heart: emma's style. with part 1 of the 7th harry potter (hp7.1 for short! hehe) movie coming out today (i'm going tonight! ), i thought it was fitting to focus on the fabulous emma watson, who plays one of my favorite literary characters, hermione granger. all of 20 years old, emma has rapidly become a style icon. i adore her. she's ethereal! angelic. adore her style as well. great post! lovelovelove her!! great pics, di! Oh my, I've never seen that Vogue Italia shoot before. Gorgeous! What a nice effect behind the photos! Is it an image you can find in Fotolia or something like that? i use the free software photoscape to edit and combine, and this is the "pockets" border! 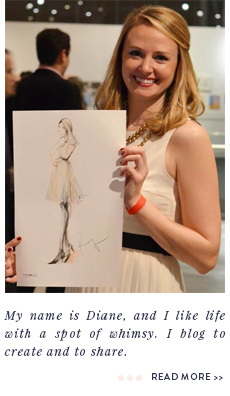 Diane, I've never seen your blog until 7 minutes ago, and I am now a huge fan. (I found you when I bought Marie Claire magazine and went to their link, "marieclaire.com/emmastyle"). When I saw "makeunder my life" and "I pledge to read the printed word," I knew this was my kind of place. I too adore Emma Watson for her intelligence, honesty, beauty-from-within-and-without...AND her stunning hair and her look in general. I'm really tired of all these girls with the long, long, long hair. Of course, long hair is fine, but not if you wear it by default. Wearing very short hair takes courage. hi cristy! welcome to the blog, i'm so glad you found it! thanks so much for the comment, hope you enjoy what you read here!